Listening to stories from the major leagues in the 1950s is everything anyone could ever hope for during an entertaining afternoon. As a very little boy nearly 50 years ago, I began hearing about the O’Brien twins. How Johnny and Eddie beat the Globetrotters while at Seattle U, how Johnny scored at will on passes from his brother, how they played major-league baseball. And how they did all of this while being only 5 feet 9. I heard enough about them that I felt like I knew them, but I could not have imagined ever meeting them. I thought about that during a recent two-hour lunch with Johnny O’Brien, finally meeting the legend my grandfather, father and uncles had told me about. My only regret was not doing this before Eddie passed away four years ago. Johnny began telling me stories, and he started to worry that he was taking up too much of my time. I told him I could sit there for hours listening to him. I heard stories about Elgin Baylor, Jackie Robinson, Roy Campanella, Hank Aaron and more. Listening to this warm, funny and remarkably humble legend was a labor of love and one of the highlights of my career. I felt like I did nearly 30 years ago when I interviewed Mark Koenig, the last living member of the 1927 New York Yankees, when I listened to stories of him partying with Babe Ruth and spending time at Lou Gehrig’s house. I knew that was something I would never forget and would one day tell my grandkids about. 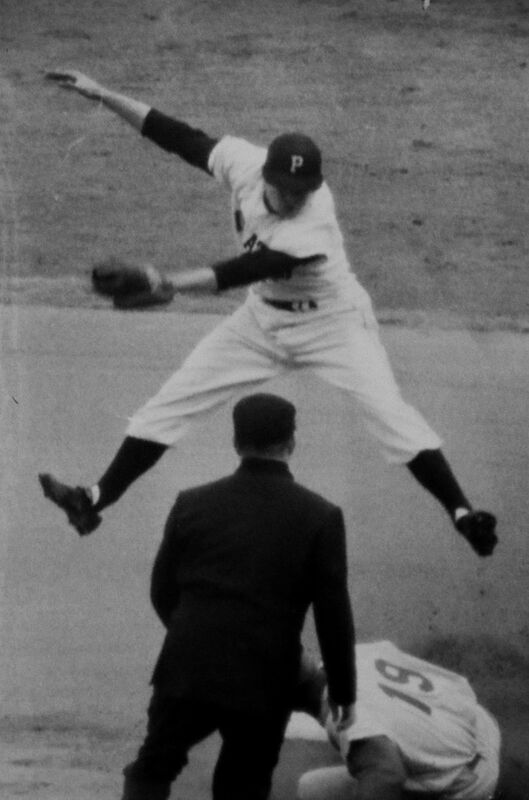 It was 1956, and when O’Brien got the call to get his arm loosened up in the eighth inning, he assumed it would be as a defensive replacement at second base for Curt Roberts. But Pirates manager Bobby Bragan had a different idea. “I go to second base and there is Roberts standing there. I look over at the dugout and Bragan’s pointing at the mound. It was Bragan’s idea, not mine. So (catcher) Hank Foiles comes out to the mound. I tell him I can throw hard and I have a knuckleball I throw hard that goes straight down. He goes OK, 1 is a fastball, 2 is a curve, 3 is a slider and 4 is … and I say why are you putting all those pitches in there, I only throw two. On the first warmup pitch, I hit the screen and (Cincinnati manager) Birdie Tebbets comes out and starts yelling, ‘He can’t pitch, he can’t pitch.’ But in the National League, there wasn’t a pitching roster and we could pitch anyone we want. O’Brien pitched in 25 games in his big-league career. He and Eddie are the only twins to each have a win in the majors. The Pirates are playing the Giants and one of biggest brawls in big-league history ensues and O’Brien races to the scene. After finishing at Seattle U in 1953, the O’Briens joined the Pirates. Branch Rickey, the legendary Dodgers executive, had just become general manager of the Pirates. O’Brien gave up Hank Aaron’s 87th home run and Willie Mays’ 182nd. O’Brien had offseason jobs while in the majors, as did most players not lucky enough to get a bonus check from winning the World Series. The Pirates were perennial losers when the O’Briens were playing there. That worked in Johnny’s favor once when the twins and their wives were out on a date. In the 1955-56 offseason, Johnny O’Brien took a job as coach of a high-level AAU basketball team. He had 11 players on his team and when he got a call about a possible 12th player, he was adamant about not adding any players. It didn’t matter that the player was pretty good, O’Brien was not going to budge. After some persuading, O’Brien said the kid could at least work out with the team at one practice. 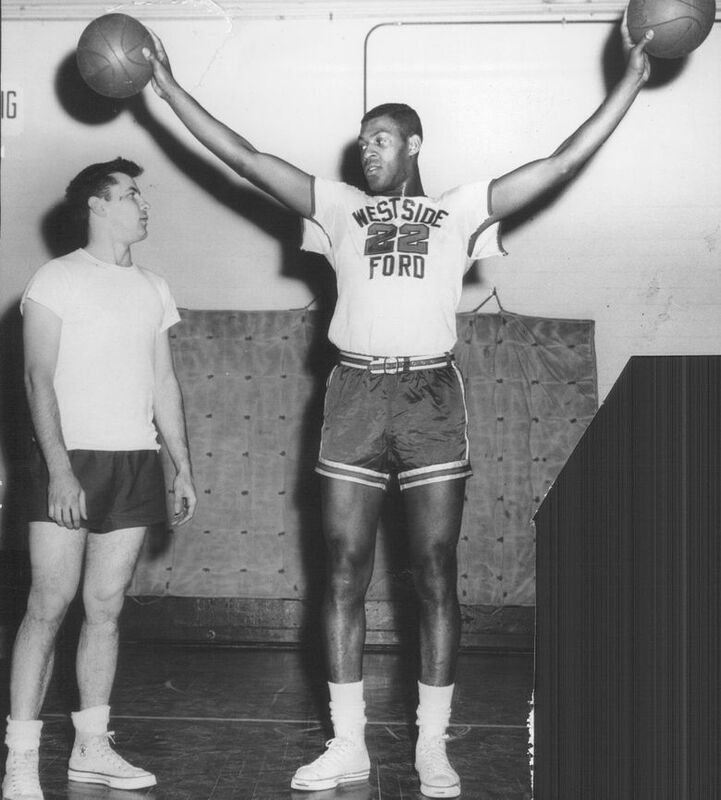 And on the first trip through the layup line, that player, 6-foot-5 Elgin Baylor, did a reverse jam. Baylor led Seattle U to the NCAA title game two years later, before starring in the NBA and landing in the Basketball Hall of Fame. So Johnny O’Brien was the first person in Seattle to coach Baylor, the only player to pass O’Brien as Seattle U’s best. It seems rather fitting.